Submitted by Feles on January 23, 2008 - 5:50am. oh god... I almost fell out of my chair laughing, that was awesome, you are awesome. I do that to people all the time on WoW.. Submitted by Anonymous on January 25, 2008 - 7:05pm. Submitted by elgefe on January 26, 2008 - 5:02pm. Submitted by Anonymous on January 27, 2008 - 3:55pm. Found this WoW vid on youtube and thought you guys might like. Submitted by Jam on January 29, 2008 - 3:56am. Quote:Found this WoW vid on youtube and thought you guys might like. Submitted by kchloevt on May 19, 2008 - 7:43pm. 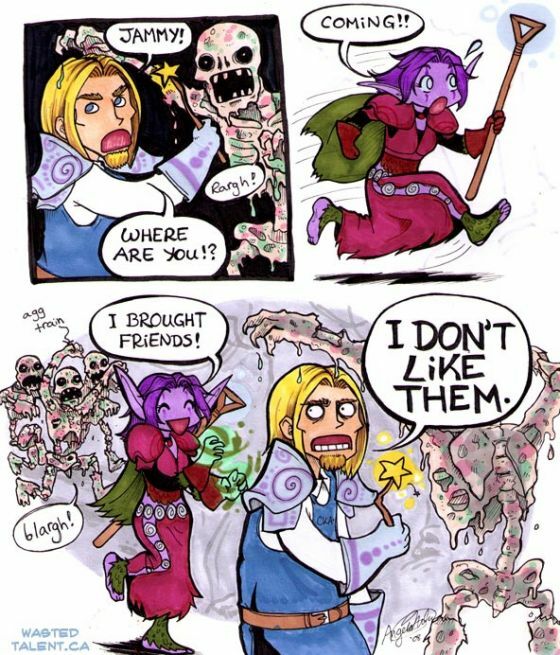 You should enter this in the WoW comic contest. Have you? Submitted by Shocky_Monkey on May 29, 2008 - 7:20am. Submitted by SamRosh on June 11, 2010 - 5:30am. Submitted by Aubkins on July 30, 2010 - 9:59pm. Submitted by Dragons777dr on April 17, 2011 - 11:45am.